This is a Pink Pig item. Posted on March 24, 2019 by Shaun OConnor in The Pink Pig and tagged A4 Portrait, The Pink Pig, Watercolour Book, Zebra - Posh / Textured Ameleie / 25. Posted on March 24, 2019 by Shaun OConnor in The Pink Pig and tagged A4 Portrait, Sketchbook, The Pink Pig, Zebra - Posh / White / 20. Posted on March 24, 2019 by Shaun OConnor in The Pink Pig and tagged A4 Portrait, Sketchbook, The Pink Pig, Zebra - Posh / White / 35. Posted on March 24, 2019 by Shaun OConnor in The Pink Pig and tagged A4 Portrait, Sketchbook, The Pink Pig, Zebra - Posh / White / 70. Posted on March 24, 2019 by Shaun OConnor in The Pink Pig and tagged A4 Portrait, The Pink Pig, Watercolour Book, Zebra - Posh / Matte Ameleie / 25. Posted on March 24, 2019 by Shaun OConnor in The Pink Pig and tagged A4 Portrait, Sketchbook, The Pink Pig, Zebra - Classic / Off White / 35. Posted on March 24, 2019 by Shaun OConnor in The Pink Pig and tagged A4 Portrait, Sketchbook, The Pink Pig, Zebra - Posh / Off White / 20. Posted on March 24, 2019 by Shaun OConnor in The Pink Pig and tagged A4 Portrait, Sketchbook, The Pink Pig, Zebra - Classic / Off White / 70. Posted on March 24, 2019 by Shaun OConnor in The Pink Pig and tagged A4 Portrait, Sketchbook, The Pink Pig, Zebra - Posh / Off White / 35. 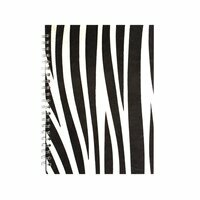 Posted on March 24, 2019 by Shaun OConnor in The Pink Pig and tagged A4 Portrait, Notebook, The Pink Pig, Zebra - Classic / Plain & Lined Mixed / 48.